What drugs does the PDT-90® Personal Drug Testing Service™ screen for? 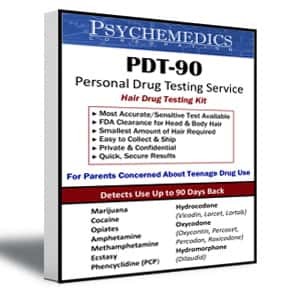 PDT-90® checks your child for five different types of drugs: marijuana, cocaine (including crack cocaine), opiates (including heroin), methamphetamine (speed and uppers) and PCP (angel dust). 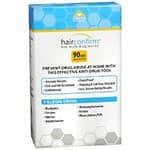 The PDT-90® Personal Drug Testing Service™ uses a simple, in-home hair sample collection. The hair is tested by Psychemedics for evidence of drug use which occurred during the approximately previous 90 days. The package provides instructions on how to collect a small hair sample from your child. You simply send the hair sample to Psychemedics for laboratory testing in the envelope provided. Use your PDT-90® code number to receive the results confidentially and anonymously over the phone. Will Psychemedics keep my child's test results confidential? Yes, your child's results are kept completely confidential and are for your use only. NO NAMES ARE EVER USED IN THE TESTING PROCESS. YOUR PDT-90® NUMBER KEEPS ALL TESTING CONFIDENTIAL AND ANONYMOUS. How long will it take to receive my child's test results? Test results are available typically 5 working days from the time that they are received at the lab, provided that all of the instructions for submitting the sample are followed properly. To receive the results, simply call our toll-free results hotline at 1-800-720-4247 with your PDT-90® code number. Is testing very accurate? Will the results come back positive if my child is not taking drugs, but has been in contact with drug users? 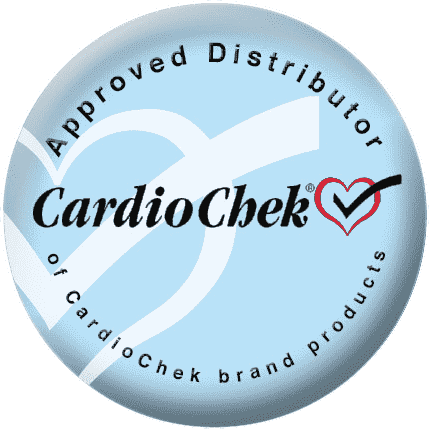 The Psychemedics PDT-90® Personal Drug Testing Service™ uses one of the most effective tests on the market, the same patented technology relied upon by corporations nationwide. Hair samples are purified to remove any external contaminants. As with any drug testing, cutoff levels are utilized to help ensure that inadvertant or unintentional contact with drugs will not create a false positive result. The testing technology is designed to show the presence of drug levels which would only be consistent with the ingestion of drugs. All samples are tested using a radioimmunoassay screen. Before any positive test result is reported, the sample is subjected to a second, confirmatory test using gas chromatography/mass spectrometry (GC/MS), considered the gold standard for forensic drug testing. How does the PDT-90® Drug Testing Service™ compare with urinalysis tests currently on the market? Urinalysis can only check to see if drugs were used within the previous 2-3 day period for most drugs. PDT-90® testing can check for drug use within a 90-day period. This makes it harder for a child to evade detection. Ways of beating urine tests are widely known by teens. They can tamper with the specimen, flush their systems with water, and even purchase clean urine to substitute for their own. However, the easiest way for them to beat a urine test is just not to use for 3 days. In addition, PDT-90® testing should be less embarrassing to you and your child than urinalysis, since collection and handling is clean and easy. Can I obtain hair from my child's hairbrush if I don't want to confront him/her right now? The best way of using the PDT-90® Personal Drug Testing Service™ is with your child's knowledge and cooperation and by collecting the hair sample as described in the materials provided. We do not recommend that parents try to collect hair from their child in a secretive manner. Warning: It is important to remember that children often share each other's hair brushes; if hair samples are taken from hair brushes there is no guarantee or proof that the hair sample is actually from your child. Is all hair testing the same? No. Psychemedics holds both American and European patents to detect drugs of abuse in hair. Additionally, Psychemedics holds a patent that is specific to its ability to detect the presence of marijuana, the most difficult drug to detect in hair. What is RIAH® (Radioimmunoassay of Hair)? Psychemedics' PDT-90 patented technology that detects drugs in hair using radioimmunoassay. RIAH® measures the drug molecules permanently entrapped in hair which were incorporated following ingestion. What drugs are included in a standard Psychemedics drug screen? Marijuana, ecstasy (MDMA), cocaine (including crack), opiates (including heroin), methamphetamine, and phencyclidine (PCP or angel dust). These drugs were identified as "illegal drugs" in the Presidents Executive Order 12564 and are the five drugs mandated for testing by the federal government. Can a positive result be caused by drugs in the air or environment attaching themselves to hair? Yes. All positive results reported by Psychemedics are confirmed using GC/MS or the more sophisticated GC/MS/MS. How much hair is needed for the hair drug test? Assuming the sample is taken from the head, the amount of hair needed is approximately 90-120 strands, or a snip about the size of a shoelace tip. This represents a relatively small amount of hair and should be cosmetically undetectable. In most situations the minimum time period is approximately one month. RIAH® cannot determine drug use for any particular day or week. Can hair drug tests be conducted on individuals with little or no head hair? Absolutely. Hair can be collected from several locations on the head and combined to obtain the required amount of hair. If necessary, body hair can be used as an alternative to head hair. Does chemical treatment of the hair affect test results? Commonly used hair products (shampoos conditioners, sprays, mousses and gels) have no significant effect on test results In fact, normal hair washing helps to remove the external presence of drugs on the hair. Drug residues remain permanently entrapped in the hair. They cannot be washed or bleached out. Does hair color or texture affect the results of the hair drug testing? No. In fact, Psychemedics patented process routinely separates melanin, the color component of hair from the sample. Therefore, the hair tested is colorless. Extensive independent studies confirm that hair color is not a factor in Psychemedics hair testing results. 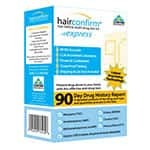 Are there independent studies that show that the hair drug test is effective? There are many independent studies, for example the "National Institute of Justice study" and the "Steelcase study."